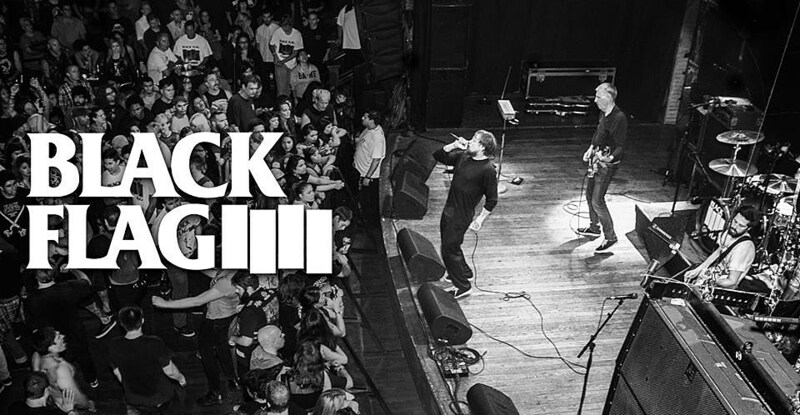 Last week, Black Flag (led by Greg Ginn) announced their first US tour in five years, and they’ve now added more dates, including two NY shows plus stops in Chicago, Reading, Tempe, and Tucson. They also added a run of Italy shows for October. The newly-added NY shows happen August 12 at Brooklyn Bazaar (tickets) and August 15 at The Chance in Poughkeepsie (tickets). Both are being opened by The Linecutters. Updated dates are listed below. Black Flag is not to be confused with FLAG (which features classic-era Black Flag members Keith Morris, Chuck Dukowski, Bill Stevenson, and Dez Cadena, and Bill Stevenson’s Descendents bandmate Stephen Egerton), who are playing Punk Rock Bowling.